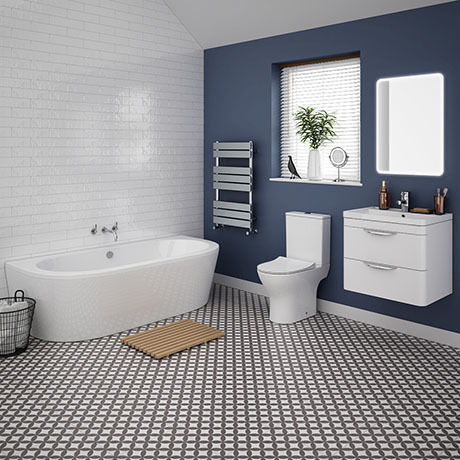 Give a contemporary look to your bathroom with the stunning Orion back to wall bathroom suite, featuring a quality wall hung rounded corner vanity sink and stylish short projection toilet. Bath has been designed to fit snugly against the wall for a neat finish and comes with a a 5mm acrylic front panel. The space saving round pan only projects 610mm from the wall making this durable toilet ideal for smaller bathrooms, en-suites and cloakrooms.